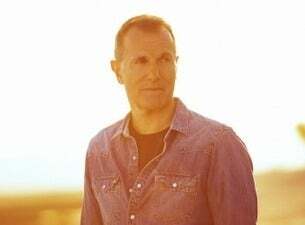 James Reyne announces ‘A Crawl To Now’ Late in 2013, James Reyne played two sold-out shows at The Basement in Sydney, exciting fans with a new live offering, A Crawl To Now. Showcasing a broad selection of Australian Crawl tracks plus songs from his time with Company Of Strangers and his solo hits, the acoustic trio of James with Tracy and Brett Kingman, paid homage to an exceptional body of work. They brought the house down. His songs have provided the soundtrack to endless Australian summers, including “The Boys Light Up”, “Reckless”, “Beautiful People”, “Lakeside”, “Daughters Of The Northern Coast”, “Fall Of Rome”, “Hammerhead”, “Motor’s Too Fast” and “Slave”. Now, following countless requests at live shows and online, James is ready to explore this material further, and will feature songs selected from throughout his career - over twenty albums representing an extensive catalogue, spurning 19 Top 40 hits (seven with Australian Crawl, 12 solo) and 10 Top 10 albums. Recognised for his extensive charitable undertakings, Reyne received an Order Of Australia in January. His iconic song ‘Reckless’ has featured heavily in the promotion for the forthcoming new series of TV show ‘Puberty Blues’, and the recent re-release of the Australian Crawl catalogue on itunes resulted in a #4 ARIA Album Chart position for ‘The Greatest Hits’.